South Korea won the gold medal in the men’s category at the World Taekwondo World Cup Team Championships on Sunday. 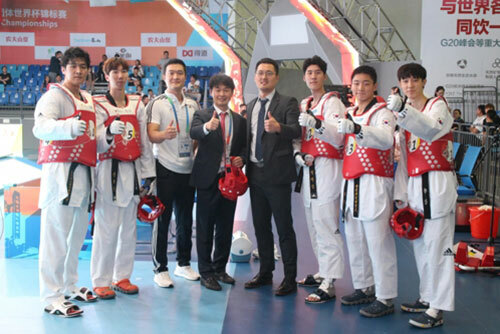 During the finals held in Wuxi, China, Team Korea, comprising In Kyo-don, Park Ji-min, Nam Koong-hwan, Jang Joon and Shin Dong-yoon, beat China’s team 68-56 to claim the gold and prize money of 40-thousand dollars. The Korean women’s team had to settle for bronze after losing to China's second team in the semi-final. South Korea also secured the bronze medal in the mixed gender event after beating Morocco 39-23.